Sports are within the realm of everyday citizen concern. 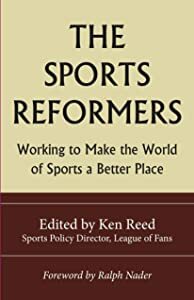 Many people, fans or not, would like to make a difference by encouraging the cooperative capacities that make sports capable of helping — rather than undermining — our society and culture. Public money should not be used to further the profits of sports corporations. There is no justification for cities and states to subsidize professional sports franchises with taxpayer (or otherwise public) dollars to build new stadiums or arenas, nor to provide them with other forms of corporate welfare. It is not a public purpose. Major pro sports teams are private, profit-seeking companies with very wealthy owners working within monopoly leagues and should have no trouble surviving the tests of a free market. Commercial advertising in sports has gone too far and is getting more intrusive, and should be scaled back. The ongoing commercialization of sports is shifting the primary focus of games away from showcasing skill and competition, and toward simply creating another forum to sell more things. This corporate branding destroys the character and virtues of sport with a commercialized vision where everything is for sale, and every waking moment an occasion for an advertisement. 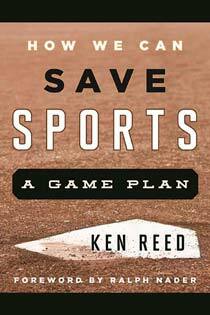 Fans of major professional sports should learn about the business practices of their favorite sports teams and leagues. The outdated and unrealistic romance fans still attach to major professional sports allows greedy team owners to work against the interests of fans, and to extort corporate welfare from cities. As much as fans love major professional sports, it is a pathological profit-seeking industry that cares little for fans or communities. Sports business decisions which attempt to maximize profits through fan-unfriendly measures are offensive and reprehensible, and should be staunchly opposed. The interest of fans in the integrity of a sport, league or team should always be taken into account. It is better in the long-term for a sports franchise to work to maximize the number of fans in attendance with lower ticket, concessions and parking prices rather than to maximize profits with higher prices, artificial demand and exclusivity. Fans should be able to purchase reasonably priced tickets and concessions and be treated with courtesy and respect. Everyone should be able to attend, not just the elite. Collective bargaining should take sports fans and host cities into account. Fans should have the right to have their interests in the resolution of disputes effectively expressed, and cities that have subsidized the league in question should be compensated for damages due to any work stoppages. League, team, school, coach and athlete sponsorship licensing deals should require adherence to internationally recognized human rights standards when signing endorsement contracts with corporations. Many such corporations are sporting goods, shoe and apparel companies that have lead the push into low-wage countries with poor human rights records for the purpose of profitable exploitation. In addition, Sports personalities should refuse to endorse unhealthful products, especially those marketed to children and those marketed in schools. All persons should have the rights and opportunities to benefit equally from sports. Barriers such as sexism, racism, homophobia, disability, ageism and class oppression should be confronted. The many diverse cultural, ethnic, racial, sexual, religious and spiritual elements of society should be reflected in the sports world through the development of respectful relationships across theses lines. The use of steroids, other drugs and dietary supplements to artificially enhance performance in sports not only puts the health of popular sports figures in danger, but also the health of the many teenagers in high school and even middle school sports who emulate those athletic role models through pill-popping and injections. 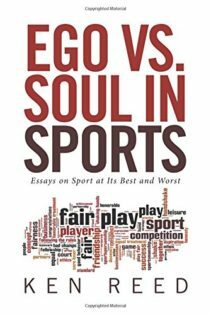 In addition, the use of performance-enhancers shatters the public trust and boils down to one important word that nobody in the sports world, at any level, wants to hear: Cheating. Sports fans should recognize the line between being a fan or an abusive menace. Any behavior that has the potential to cause injury to anyone, or potential to ruin for others the experience of attending a game is unreasonable and has no place at sporting events. Attending a game should be a fun and safe experience for all fans. Leagues and consumers should control when games are played and broadcast, not networks and their advertisers. But the revenues received from broadcast rights by leagues and teams are the largest segment of sports revenue, even more important to owners than the tax dollars they obtain through corporate welfare. Regardless of east coast/west coast time discrepancies, game times are increasingly determined to maximize advertising revenue for networks, deep into primetime, rather than at a decent hour to maximize fan enjoyment and youth interest. Sports participation at all levels and age groups has an important effect on physical fitness and should be widely available to all. Sports participation works to fight the many health complications that have surged due to the dominance of television, video games, fast food chains, soft drink and junk food companies, “fad” diet scams that neglect the need to exercise and the boom in advertising for all these things, some even in public schools. Marketing-related diseases such as obesity, diabetes, cardiovascular disease and smoking-related illnesses can be reduced by more active, healthier and more confident people participating in sports. The news media should be independent of sports entities and report fairly and thoroughly on controversial business, economic, social and political issues in the sports world. The ownership fusion of media conglomerates and sports franchises has caused major conflicts of interest in reporting. But even where there is no media ownership of sports, news is almost always angled for the benefit of the local team. The interests and demands of sports teams are regularly supported in the news coverage for fear that if they are critical of the actions of local teams, they will lose access to them. Some sports venues have become more than just stadiums and arenas over time. Historically significant stadiums, ballparks and arenas, as well as their names, should be preserved (declaring them as landmarks where appropriate) and competition within them should be maintained. Preservation is good business and contributes much to the quality of our lives as it maintains a link with the past and connects citizens and fans with the experiences of people who came before them, in turn giving us a better understanding of our connectedness. The increasing numbers of people participating in sports and taking advantage of the many benefits that sports and physical activity can provide is encouraging. Unfortunately injuries, many of which are preventable, undercut the ability of people to participate in sports and remain physically active. Health and safety in sports at all levels and age groups should be of greater priority, with not only the goal to better treat injuries, but to prevent them. Athletics and classes with physical elements should not be seen as extracurricular and should never be eliminated from schools due to budget constraints or for any other reason. Sports, physical education and health classes should be fully protected as critical academic disciplines important for the immediate and future well-being of students. From the misguided emphasis on winning over fun and participation, to the selfish and abusive actions of some overbearing parents, youth sports are spinning out of control. Sports leagues should be fun places where kids can benefit from physical exercise and develop nonphysical benefits such as self-confidence, teamwork, character-building, skill development, self-efficacy, perseverance and sportsmanship. Participatory, recreational and amateur sports at all age groups and all levels of competition are more important to society than professional sports entertainment.